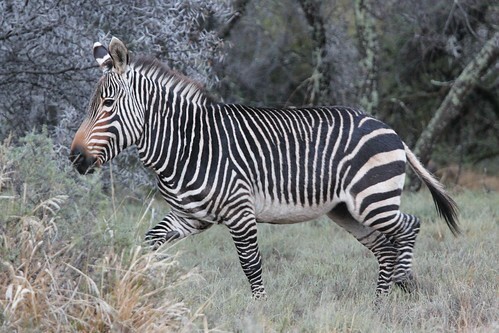 Cape Mountain Zebra (Equus zebra zebra) in Mountain Zebra National Park, Eastern Cape, South Africa. Photographed on 23 June 2012. This National Park waas established to protect these quite rare animals.